We undertake crane fabrication under job work order also. We are leading the industry by providing the efficient and effective Crane Fabrication Service. The Crane Fabrication Service offered by us are planned and executed by the experts of the industry. We ensure that the clients are efficiently served with our services. We ensure that the clients are served in an appropriate manner with our services. 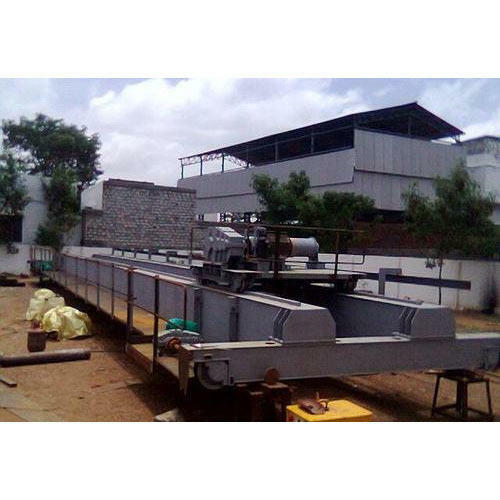 SREE GAJAANANA CRANES AND HOISTS is established in the year 2008 by group of young Engineers. Initially the company started as a spares supplier to the crane industry and power transmission products to various types of industries. During the period we gained Knowledge and support Technically and Commercially. Presently, we are well established in manufacturing of Materials Handling Equipment, Heavy Fabrication, Machining and custom made items as per the requirement of the customers. SREE GAJAANANA CRANES AND HOISTS is supported by well Experienced and Knowledge technical team having expertise in different fields, having vast experience and expertise to give the solutions. Our manufacturing unit is located in Kukatpally industrial area adjacent to Baalaanagar and Jeedimetla is one of the biggest hub in India. With an area of 3500 square meters with an experienced and versatile man power to meet the requirement of market needs and to support the customers. Our cranes and machines are used in variety of areas and fields of varying purposes, some of the areas are machine shops, sugar plants, cement plants, power plants, fabrication shops, steel plants, granite industry etc., as an we have supplied the 50 tons’ capacity, we are capable of doing much higher than this and equipped with the facilities. Sri Gajanana Cranes and Hoists is quality certified organization as an ISO-9001:2008 company. In the year 2016. We are in the industry since many years and did many challenging jobs and highly critical applications and manufactured special equipment. Our motto is “WE WILL GIVE THE SOLUTION” not only supply the products. You are our priority & we will aim to achieve at most customer satisfaction. We strive to provide high quality products at competitive prices. Some of our initiatives to improve our customer satisfaction in every product market by us. Providing solutions to customized as per the customer needs. Offering after sales support & installation services. Maintaining high ethical business and dealings with clear knowledge. Sustainable success is achieved in business and our establishment since our inception. Quality places a major role in the growth of business which is evident that we are in the market since many years. Hence quality control is an integral part of our work and company. We apply and adopt effective measures to maintain stringent quality and committed to meet the customer satisfaction and expectations by delivering the product of high quality and in time.